Twitter reaction: Allen's Ibe assist, mishit or moment of genius? 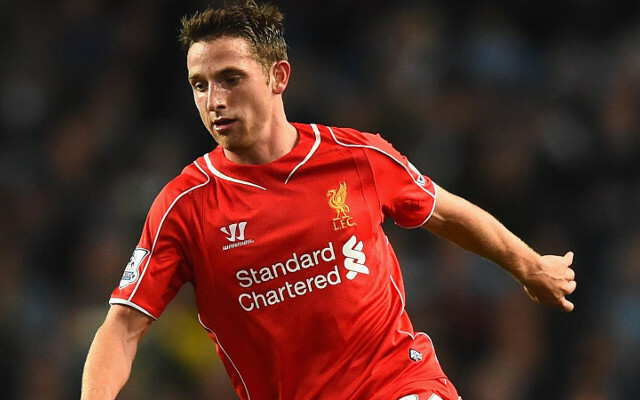 Twitter reaction: Joe Allen’s Ibe assist, mishit or moment of genius? Joe Allen had a great game against Stoke this past Tuesday night, and played a key part in Liverpool’s one and only goal of the game. The internet seems convinced his role in the build-up was a no-look assist rather than an embarrassing mishit, and the Welsh midfielder has consequently been heavily praised on Twitter. Allen looked sure to score when Adam Lallana cut the ball back from the byline, but whether it was a moment of genius or a humongous chunk of luck, he failed to find the back of the net – instead sidefooting the ball to Jordon Ibe in acres of space. The youngster controlled the ball smartly before smashing it towards the far post, leaving Jack Butland with absolutely no chance as it nestled into the back of the net. The internet erupted celebrating Allen’s no-look assist, with many insisting he unquestionably meant to set up his young teammate, and others taking the chance to echo former Liverpool manager Brendan Rodger’s words regarding the Welsh Xavi. I’m actually a fan of Joe Allen’s – I always think he gets too much stick. Allen’s ‘assist’ provided Ibe with the chance to score the game’s one and only goal, a goal that gives Liverpoool a hugely important lead heading into the second leg of their Capital One Cup semi-final clash with Stoke. The second game is at Anfield, where Jurgen Klopp’s side will be confident of getting the win and sealing their place in the final against either Everton or Manchester City. This will arguably be Liverpool’s best chance of silverware this season, so Klopp will be hoping for more magic from the Welsh midfielder in the second leg.